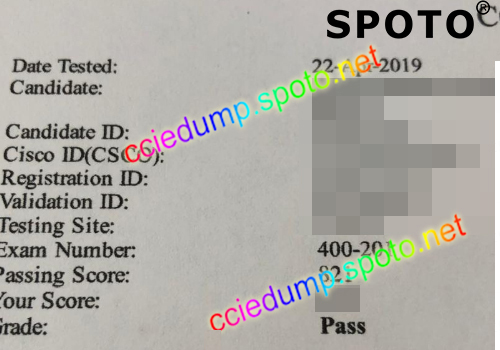 The CCIE lab exam is an eight-hour, hands-on exam which consists of one module, Configuration, which assumes knowledge of the more common protocols and technologies. 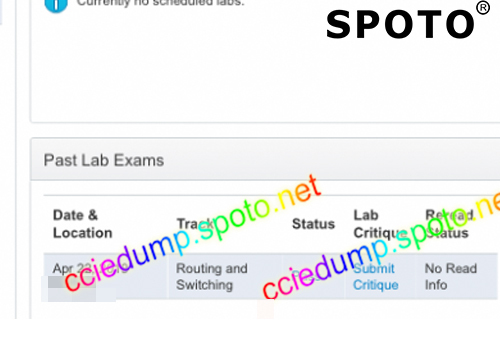 The CCIE lab exam is an eight-hour, hands-on exam which consists of Troubleshooting, Diagnostic and Configuration. On the first section, troubleshooting, candidates are faced with a series of network trouble and required to diagnose and resolve the network problem. There are optional 30min to borrow up from Configuration section. On the second section, diagnostic, candidates demonstrate the ability to diagnose network issues within 1 hour. If 30 min was borrowed, the third section, diagnostic with 4 hours and 30 mins. Candidates are not allowed to go back and forth between modules. As for the lab study, videos, workbooks and solutions are provided. Videos will strengthen the basic knowledge. Teacher will show some hands-on experiments and make deep explain on workbook and solution. If you have doubt when practice, teachers will assist you to solve the problem. After candidates finish the specific lab materials practice, candidates are access to simulated real exam test. Only after testing successful, teacher will suggest you take exam, which reduce the failure to a minimum. SPOTO Lab passing rate peak at Ninety-six percent. 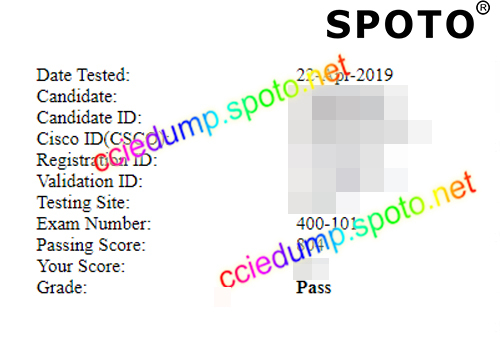 We are not only provide valid lab materials, but also provide exam to test whether candidates are available to take Cisco lab exam. Our exam validate candidates with good chance to pass real exam. 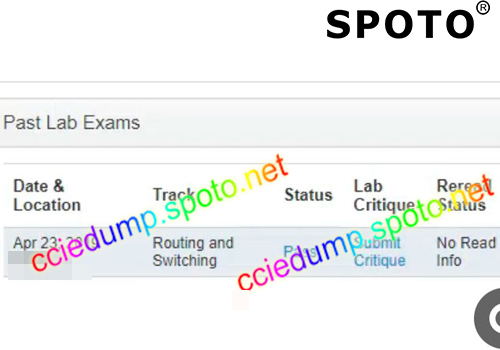 Furthermore SPOTO gather numerous CCIE candidates on study group, where they are willing to share and help each other. The latest feedback are delivered on the study group. 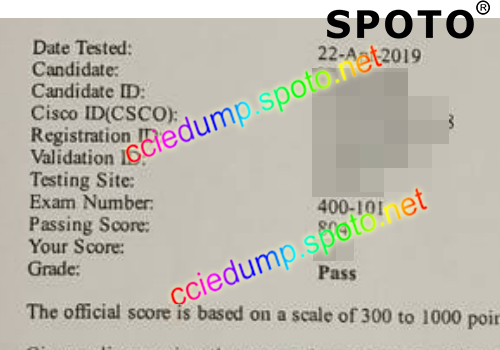 All the lab study materials are valid and proved can help a great deal of candidates pass their CCIE lab exam.. Experts compile their research essence and latest feedback into study reference materials to candidates. 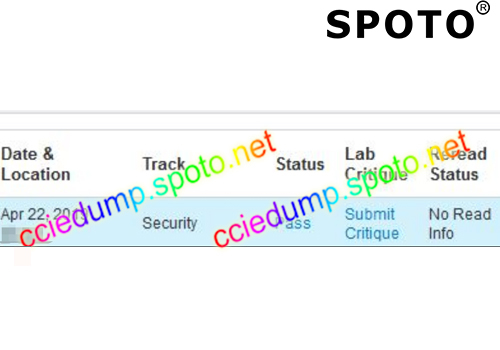 Based on candidate’s feedback around the world and expert’s long year research on Cisco exam, we update dump at once. 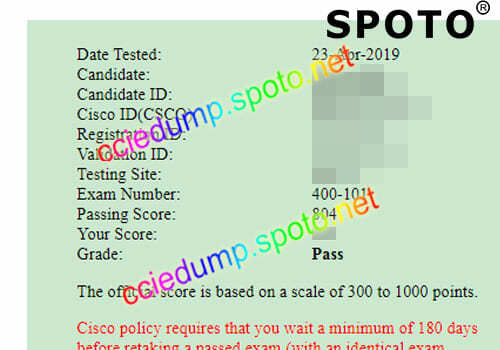 Our information keep up with Cisco, therefore when the exam is ready we will provide valid exam questions to candidates. 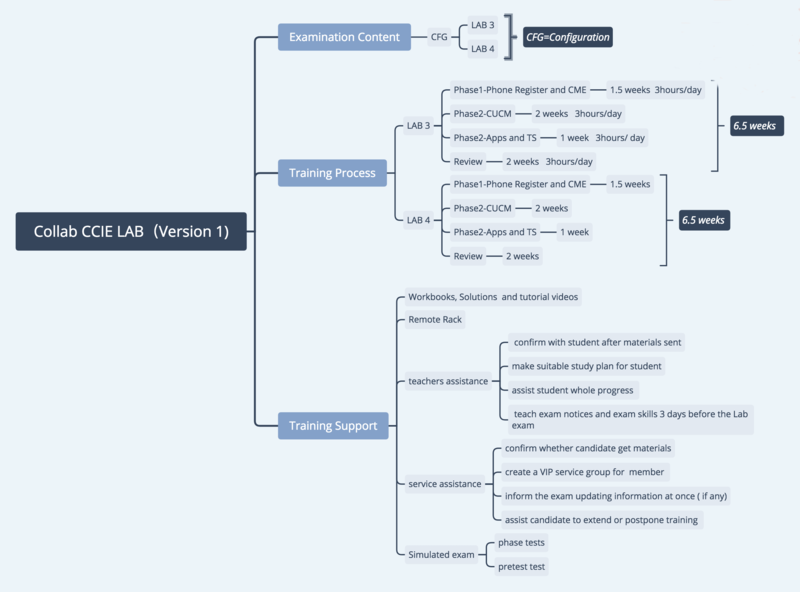 Before buy the lab materials our course consultant will show the latest lab information and make a suitable study plan for you according to your plan and your base. 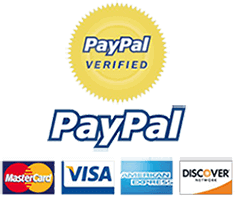 When you purchase the study materials, service, teacher or teachers will assist you clear your exam. Service will track your study plan and make some necessary advice. Teacher will answer your questions and assist you even in remote way. dump is still valid. passed yesterday. Hey guys , thank you for all your help. 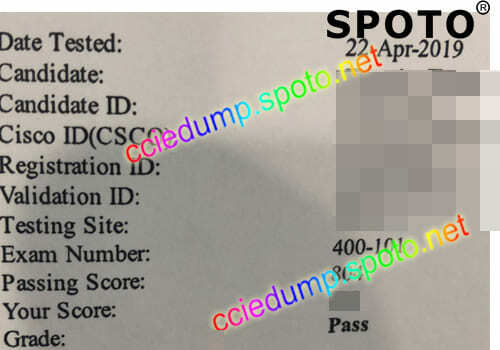 the dump is 1000 % valid.I passed today.All questions are valid. Only 2 questions are new. It made the exam very easy. Passed today with 927. 100% valid dumps. Thanks every body for their contribution. 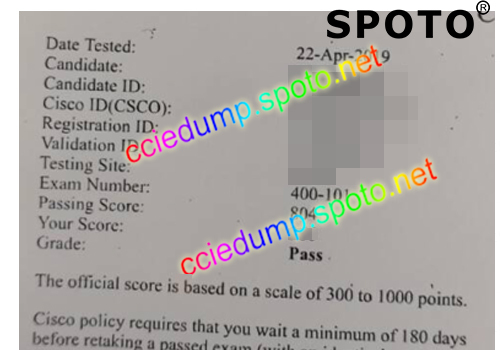 There are many new questions for the exam, and let me know more about the exam and have more confident in passing the exam. Thanks in advance.